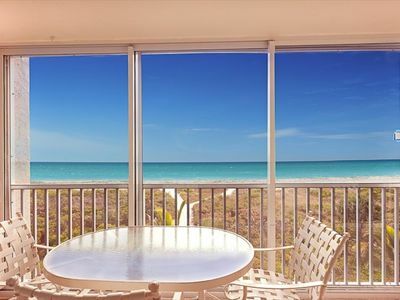 Wonderful gulf beach views greet you from this third floor condominium at beautifully manicured Loggerhead Cay. 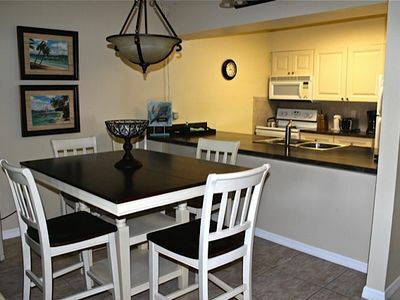 The condo has been newly painted and has had new carpet installed and includes many updates. The master bathroom has been completely renovated with a walk-in shower and granite top on vanity. 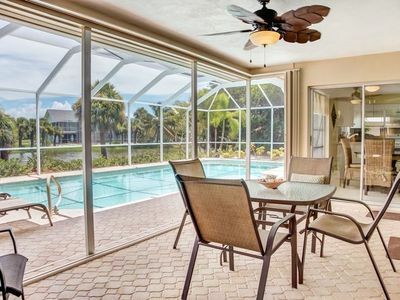 The large, heated pool is in sight from our screened-in lanai. 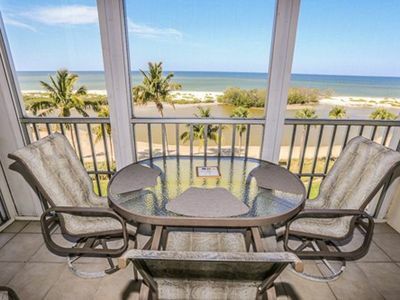 Enjoy the view of the beach and the gulf from the living room sofa. 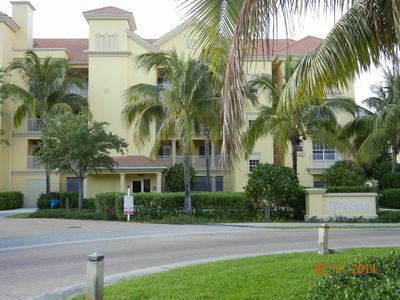 Enjoy sunrise from the kitchen, lunch on the lanai, or enjoy the sunset from this beautiful, bright, and airy top-floor condo. 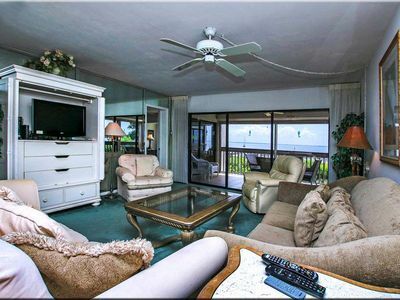 This condo is on a corner of building 5 and the lanai is screened on two sides offering stunning views. 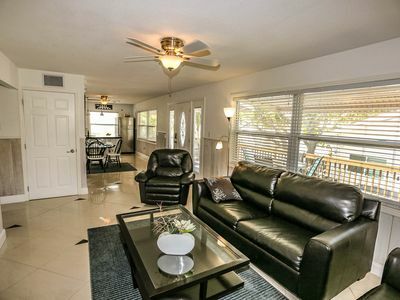 Additionally, the vaulted ceilings and overhead skylights make the condo feel open and spacious. There is an elevator to move your luggage and groceries up to your condo. Our designated parking space is directly across from the elevator. Our rates include all fees and damage protection. No damage deposit required. LIMITATIONS - WE ARE A SATURDAY TO SATURDAY RENTAL. WE ALSO DO NOT RENT MORE THAN A YEAR IN ADVANCE. 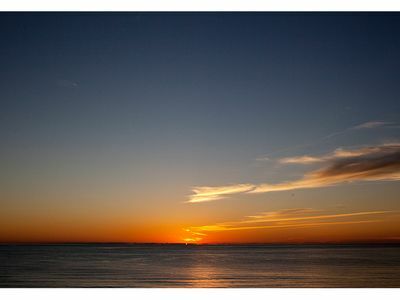 We give our current renters the opportunity to return the following year first until the end of their stay. We now provide premium linens and plush Turkish cotton towels for your comfort. 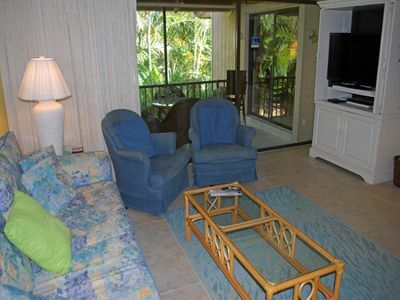 The master bedroom has a pillow top king bed, and looks out onto the lanai. 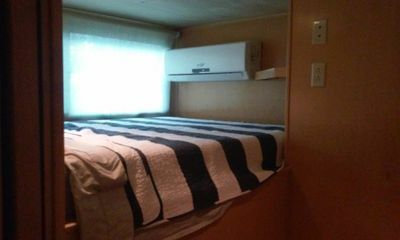 There is a pillow top queen and a twin bed in the second bedroom. There is no sleeper sofa. 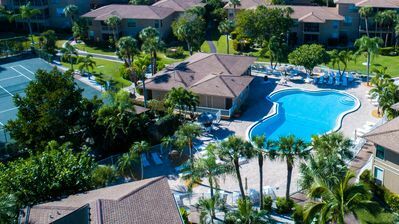 Secure High Speed Internet (WIFI) is available at no additional cost and there are three flat screen TVs with cable in the living room and in each of the bedrooms. There is a DVD player and a limited selection of DVDs for all ages. There are also books and games if you want to turn off the electronics. Many restaurants are within a short walk or drive, and a fully functional kitchen is available for those who prefer to eat in. There is a restaurant guide in the living room. 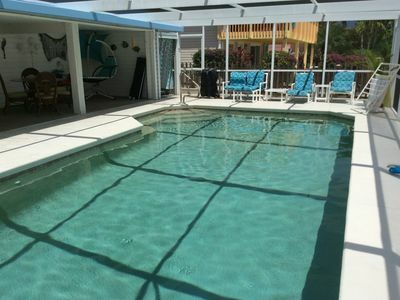 Our complex also provides propane grills that are available to our guests. 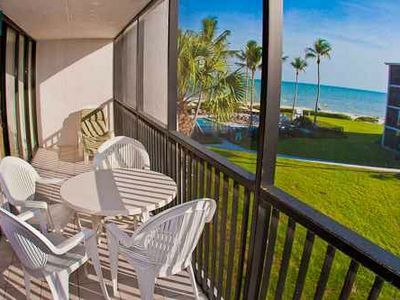 There are two tiki bars(Holiday Inn and Sanibel Inn) within a short beach walk in either direction where you can grab a quick lunch and other refreshments on the beach. 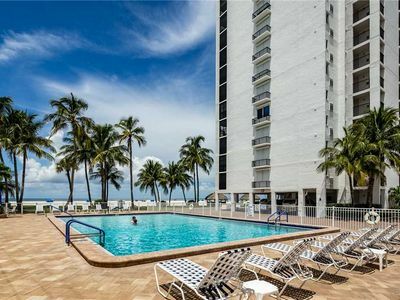 In addition to the linens and towels, we also provide beach towels, beach chairs, an umbrella and an assortment of beach toys so you can pack lightly. Our full-sized washer and dryer makes it easy to minimize the amount of clothing you bring. We provide a starter kit of laundry detergent, dishwasher soap, dish soap, kitchen towels, paper towels and trash bags. We also provide bathroom soaps and 2 rolls of toilet paper for each bath. We welcome pets, however we are limited to a single pet weighing 25 lbs or less due to condo association rules. NO LARGE DOGS PLEASE. 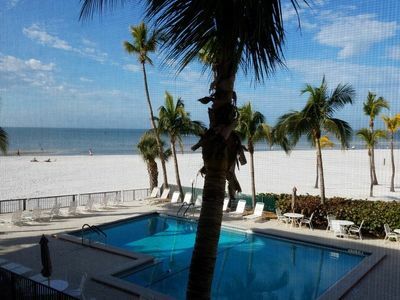 A non-refundable fee of $250 per stay applies. 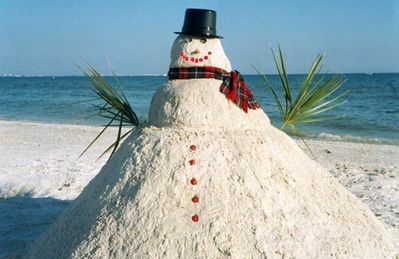 Sanibel’s Sandman brings you a dream! 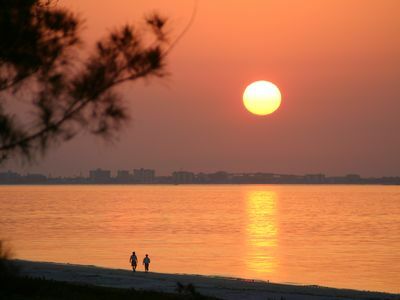 Kick off your shoes and stroll the beach. 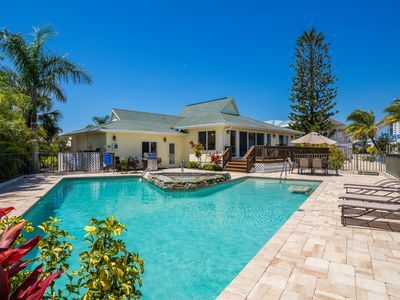 Enough Room for the WHOLE Family to vacation all together. 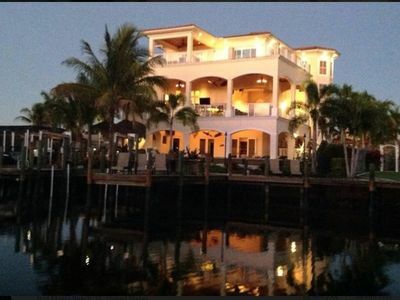 Bella Lago 242: Steps From Beach, Stunning Furnishings, Worry Free! Pretty in Pink! 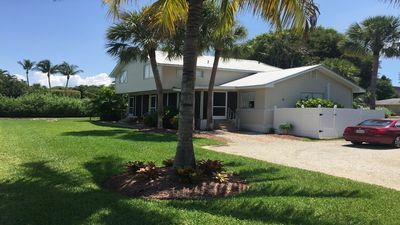 Darling beachside cottage home located on the north end of Fort Myers Beach. 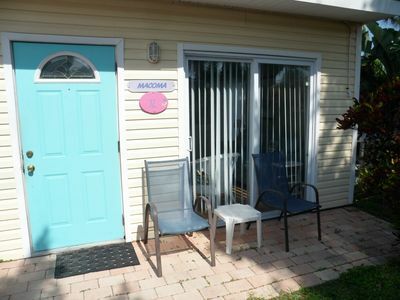 This cozy, pet friendly 2 bedrooms/2 baths beach home sleeps 6 people.